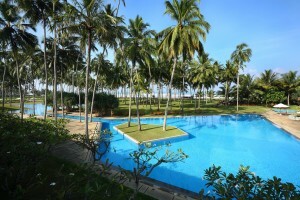 Designed by globally-renowned architect Geoffrey Bawa, The Blue Water Hotel is a superb five-star Sri Lanka holiday resort set on the shimmering shoreline of Wadduwa. 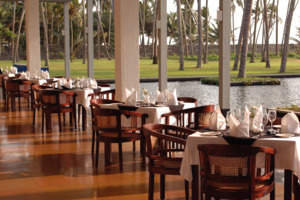 As a family-run hotel, The Blue Water takes great pride in offering special customer service and attention to detail, as represented by its unmistakably relaxed ambience. 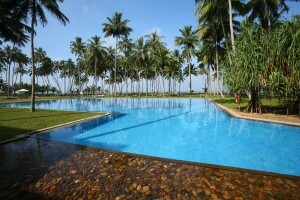 The signature feature of The Blue Water is its fabulous giant swimming pool, which winds through the main lobby and out into the manicured gardens. 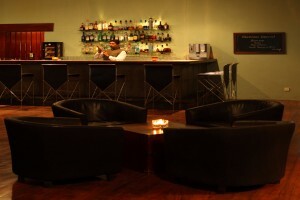 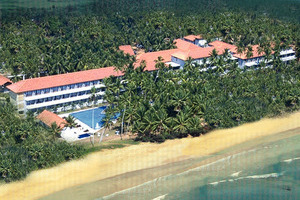 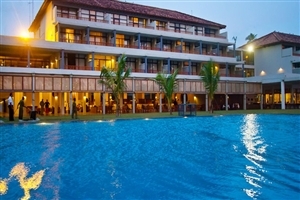 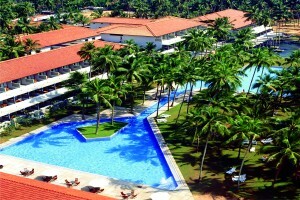 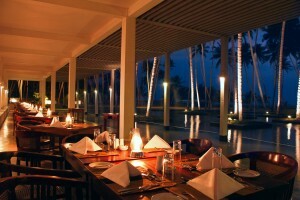 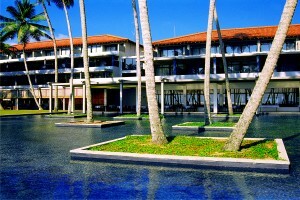 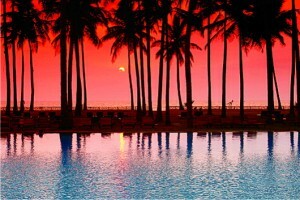 Set on a long stretch of beach just outside of Wadduwa and two hours drive south from Colombo Airport. 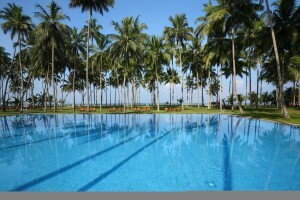 The hotel stands amongst the clusters of coconut palms that line the beach and has lush green gardens with cascading ponds. 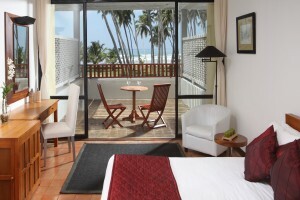 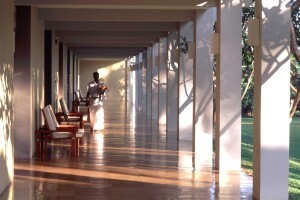 Guestrooms are furnished in a contemporary Sri Lankan style and have either a balcony or terrace boasting sea views. 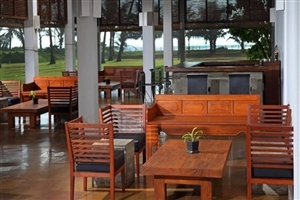 For dining there is the Admiral's Room and a number of bars to choose from to watch the sunset. 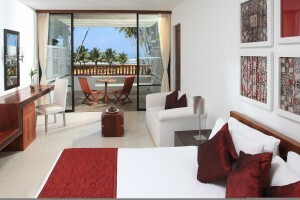 The Deluxe rooms at The Blue Water offer 43sqm of accommodation space and feature a private terrace/balcony overlooking the Indian Ocean. 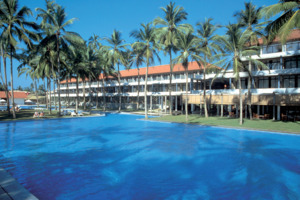 The Superior Deluxe rooms at The Blue Water offer 49sqm of accommodation space and face out onto the swimming pool for colourful views. 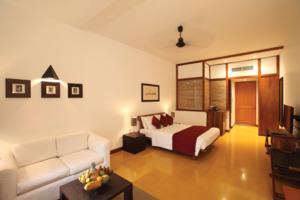 The Superior Deluxe rooms feature soft-lighting and a relaxing Jacuzzi tub. 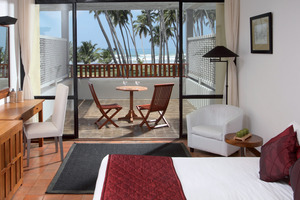 The Suites at The Blue Water offer 67sqm of accommodation space and are located on the top floor for spectacular views across the Indian Ocean from the private balcony. 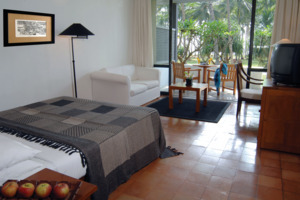 Upgraded amenities include a sumptuous Jacuzzi, a separate sitting area and a dining area.